The Drug Enforcement Administration is warning the public about criminals posing as DEA Special Agents or other law enforcement personnel as part of an international extortion scheme. The criminals call the victims (who in most cases previously purchased drugs over the internet or by telephone) and identify themselves as DEA agents or law enforcement officials from other agencies. The impersonators inform their victims that purchasing drugs over the internet or by telephone is illegal, and that enforcement action will be taken against them unless they pay a fine. In most cases, the impersonators instruct their victims to pay the "fine" via wire transfer to a designated location, usually overseas. If victims refuse to send money, the impersonators often threaten to arrest them or search their property. Some victims who purchased their drugs using a credit card also reported fraudulent use of their credit cards. Impersonating a federal agent is a violation of federal law. 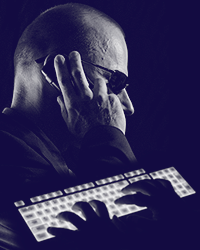 The public should be aware that no DEA agent will ever contact members of the public by telephone to demand money or any other form of payment. The DEA reminds the public to use caution when purchasing controlled substance pharmaceuticals by telephone or through the Internet. It is illegal to purchase controlled substance pharmaceuticals online or by telephone unless very stringent requirements are met. And, all pharmacies that dispense controlled substance pharmaceuticals by means of the internet must be registered with DEA. By ordering any pharmaceutical medications online or by telephone from unknown entities, members of the public risk receiving unsafe, counterfeit, and/or ineffective drugs from criminals who operate outside the law. In addition, personal and financial information could be compromised. Anyone receiving a telephone call from a person purporting to be a DEA special agent or other law enforcement official seeking money should refuse the demand and report the threat using the online form below. Please include all fields, including, most importantly, a call back number so that a DEA investigator can contact you for additional information. Online reporting will greatly assist DEA in investigating and stopping this criminal activity.